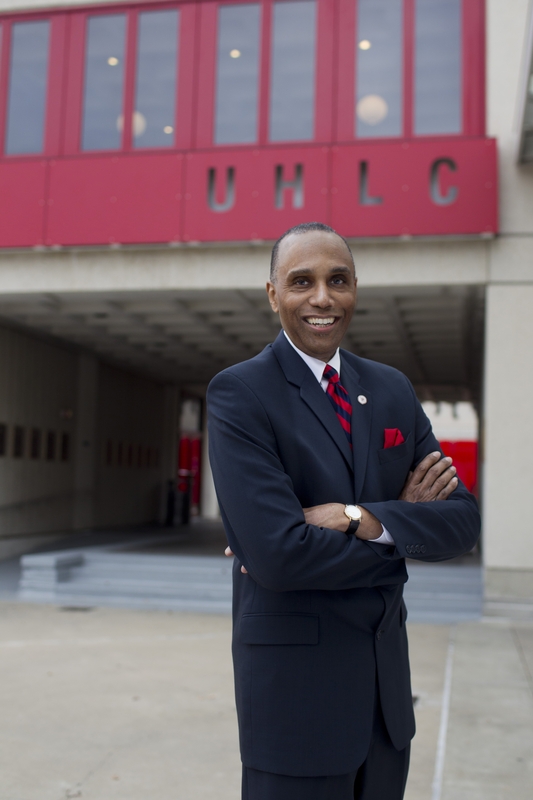 As the ninth dean of the University of Houston Law Center, Leonard M. Baynes brings a national reputation as a communications law scholar with specializations in business, media, and diversity issues. Baynes manages almost 60 full-time faculty, 90 adjunct professors and a more than 100 staff members. He oversees 10 centers and institutes including the No. 2 ranked Health Law and Policy Institute, the No. 5 ranked Intellectual Property and Information Law Institute, as well as the No. 7 ranked Part-Time Program. Over the course of his deanship, Baynes has focused on the “Power of Legal Education.” He has initiated a highly successful Pre-Law Pipeline Program designed to create more opportunities for first-generation, economically challenged, and under-represented college students wishing to attend law school. Baynes has instituted a voluntary “Community Service Day” during which incoming first-year students, faculty, and staff fan out across the city to work on various public service projects. He has placed a new emphasis on the school’s successful clinic program, which not only prepares students for the real world, but provides valuable pro bono legal services to those without other options, He has increased the number of scholarships as well as opportunities for school-funded, public service internships both at home and abroad. His most recent initiatives have included “Sondock Jurist-in-Residence” program in which judges and others have lectured, lead classroom discussions, and talked to students in casual settings and Briefcase Radio which involved one minute snippets of legal information broadcast on the KUHF, the local NPR affiliate. Dean Baynes was inducted into the Minority Media & Telecommunications Council Hall of Fame, where former FCC Commissioner and MMTC Chair Henry Rivera described Baynes as "a champion for diversity." 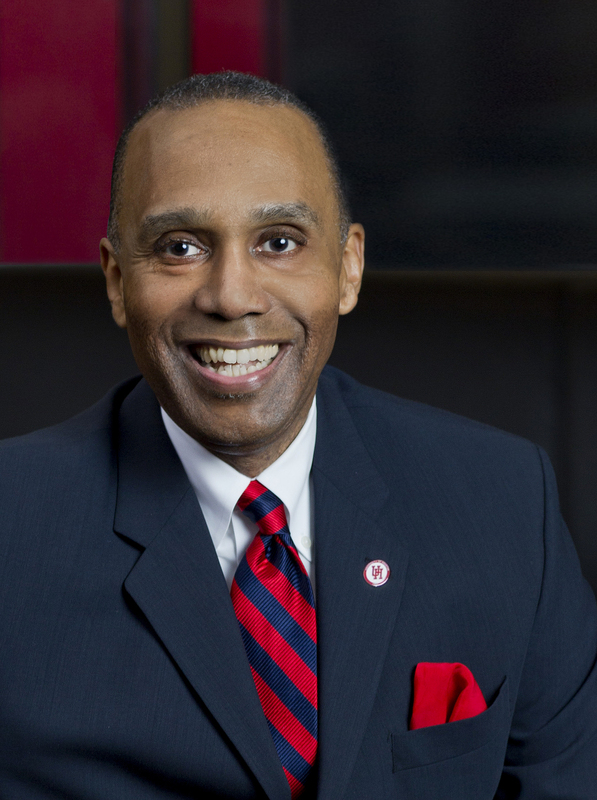 Dean Baynes previously served as the inaugural director of the Ronald H. Brown Center for Civil Rights and Economic Development at St. John’s University School of Law. He also has served as in leadership positions of three committees for the Association of American Law Schools, as scholar-in-residence at the Federal Communications Commission, as in-house counsel at NYNEX Corp, and as an associate at the Wall Street office of Gaston and Snow LLP. In 2010, Baynes received the Diversity Trailblazer Award from the New York Bar Association, and in 2019, he accepted the American Bar Association Alexander Award on behalf of the UHLC Pre-Law Pipeline Program, which is a program Baynes designed to increase socio-economic diversity in the legal profession. During his tenure, 33 of the students participating in the UHLC Pre-Law Pipeline Program have been accepted to law schools across the nation. During his deanship, he was named as one of the top 100 most influential lawyers of color in the nation, and he was awarded The Houston Lawyer Association’s Robert L. King Excellence in Education Award. In addition, the University of Houston Law Center received the National Bar Association’s Presidential Leadership Award. Baynes has written more than 25 law review articles on corporate law, communications law, and diversity, and is in the final stages of co-authoring the case book “Telecommunications Law: Convergence and Competition” to be published by Wolters Kluwer. Baynes is admitted to practice in both New York State and Massachusetts. Baynes also has been an expert witness at the FCC Federal Advisory Committee for Diversity in broadcast ownership.